Simple setup and the ability to fold flat for compact storage make it easy to fall in love with light balls, but the abundance of decorative uses and mesmerizing light displays are what make them truly special. 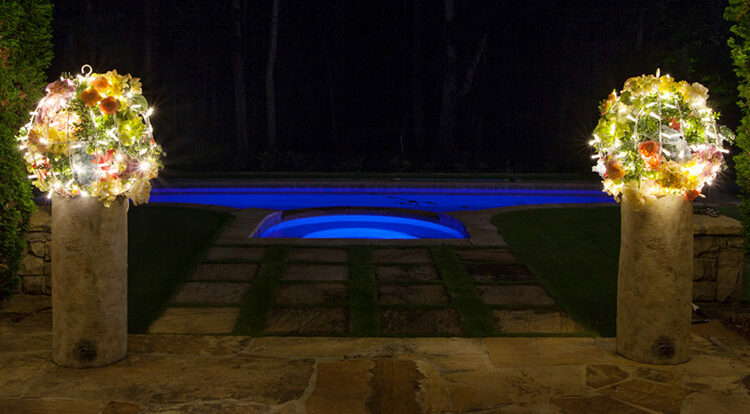 Light balls can be hung or set upright allowing for a range of decorative uses. A few of our favorite light ball display options are listed below. 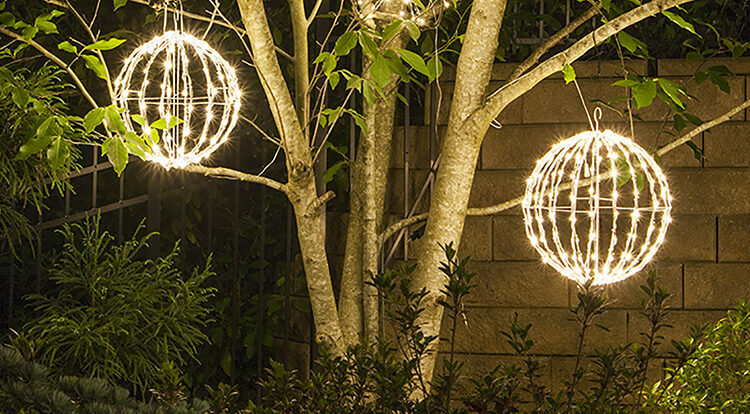 Light balls feature a sturdy metal frame with string lights already attached which makes this DIY project so simple! 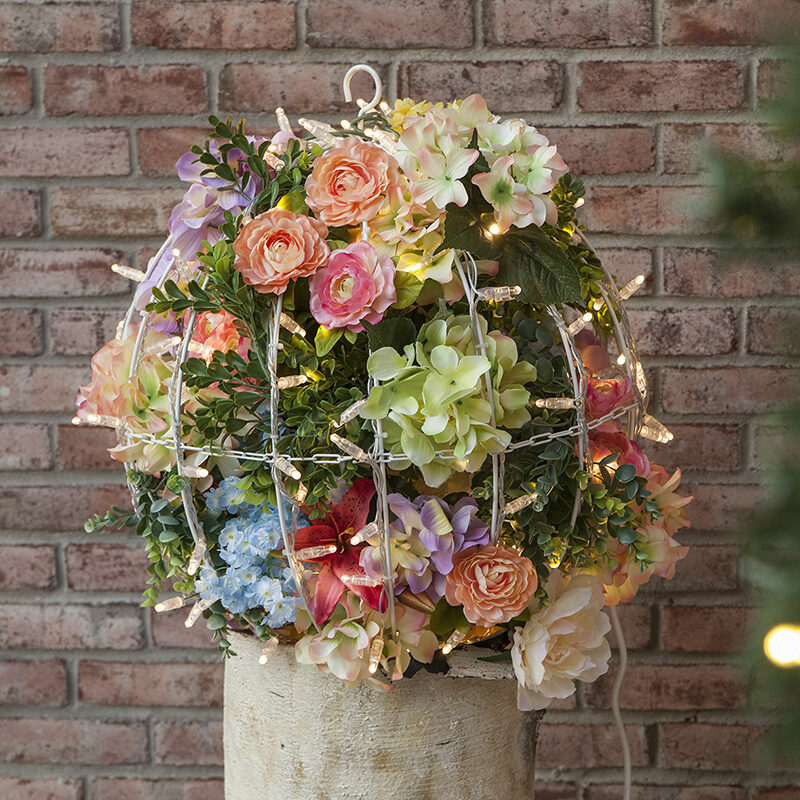 With just a few supplies you can create a flower light ball decoration in as little as 30 minutes. Hang decorated light balls from an outdoor arbor or gazebo, place them in the center of a dining table as a lighted floral centerpiece, or display them as elegant wedding ceremony and reception decorations. Flower light balls have so much creative potential depending on the flowers, decorative accents and color combinations you can use, making this a versatile DIY project for any season or occasion! 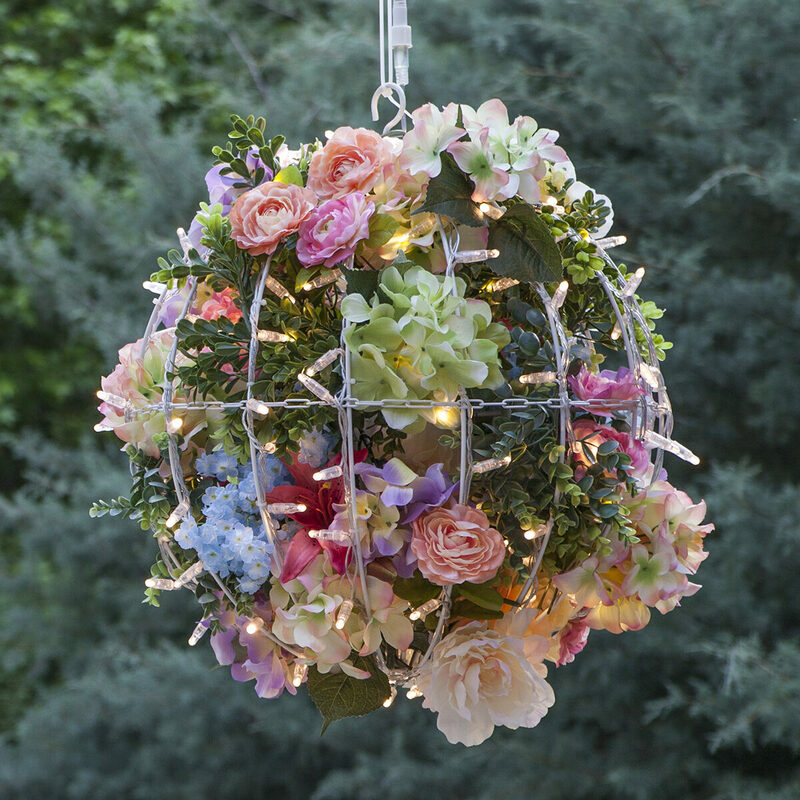 Attach greenery garland to the light ball frame using floral wire or zip ties. 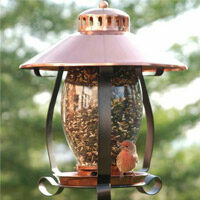 Trim and attach silk flower stems to the interior and exterior of the light ball frame. 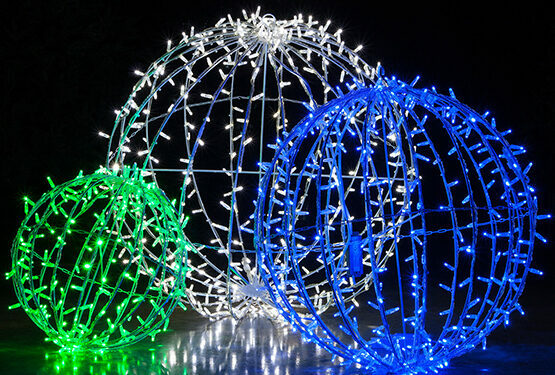 Display your light ball and enjoy your beautiful decoration both day and night! Visit our DIY Flower Balls Blog Post for detailed instructions and more botanical ball ideas! 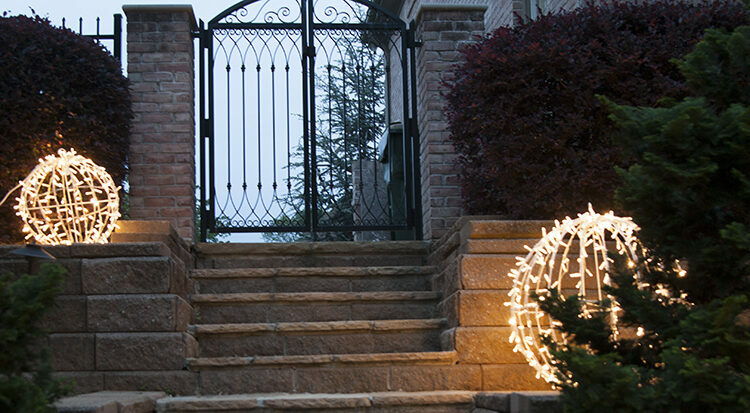 Light balls have become a popular addition to outdoor Christmas displays thanks to their easy setup and eye catching design. 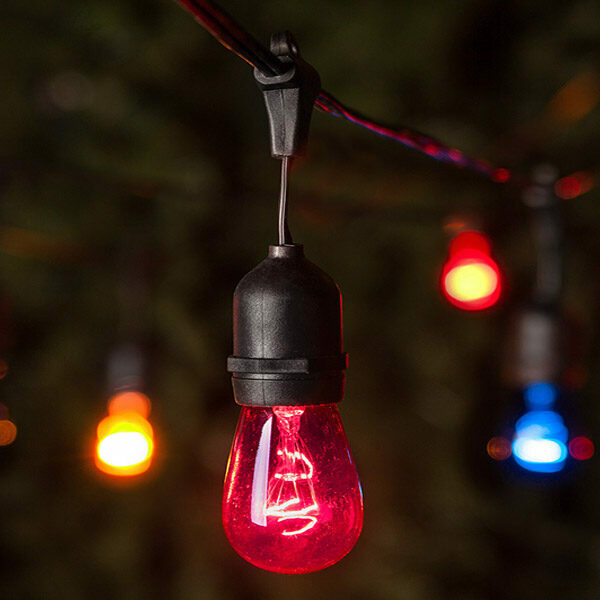 White and Blue light balls of various sizes can be hung from tree branches or placed in the yard to complement a winter wonderland holiday theme; or, choose red, white and green light balls to accent a traditional Christmas light display. You can even create the DIY flower ball above using poinsettias, holly leaves, pinecones and festive greenery for a holiday themed light ball decoration.